Except for the book part, the description of the "struggle" could be made about millions of Americans (including me). Here comes the first charge, when he got the $800k Marco Rubio not only paid off his debts, but bought himself something he always wanted...a $80K speedboat. Putting aside for a moment the old saying is the second happiest day of a boat owner' life is the day they bought a boat, the happiest day is the day they sell the boat, what exactly is wrong about when (if) one falls into unexpected money, spending ten percent of the total on a gift for oneself. When I was a salesman part of my annual commission check always went to a gift for myself. 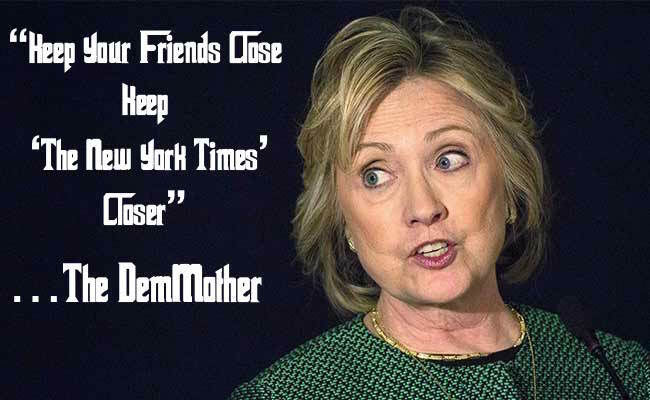 Anybody remember what Hillary Clinton Said to Diane Sawyer? Well, if you -- you have no reason to remember, but we came out of the White House not only dead broke, but in debt. We had no money when we got there and we struggled to, you know, piece together the resources for mortgages for houses, for Chelsea's education, you know, it was not easy. How different is Rubio? Especially when one considers that both the Clintons and Rubio used money from book deals to pull them out of debt. The Times goes on to publish an itemized account of Rubio's horrors, like emptying his IRA to fund his campaign, or when his family was cash-strapped he sold one of his cars...what a bad, bad, man. Actually the Democratic Party paper of record describes someone just like most of us, someone who probably understands what the rest of us are going through, someone who to this day is not rich like the Clintons. The NY Times piece smells like something leaked from the Clinton hit team, the same team which created the "birther" issue about Barack Obama, and more recently the Rubio traffic ticket story. The only thing truly scandalous about this story is that the NY Times would publish it as news.